With two single-door cabinets and five spacious, fully-functional drawers, you won't find yourself in need of more storage space when you have the 49" Constanza Single Bath Vanity. 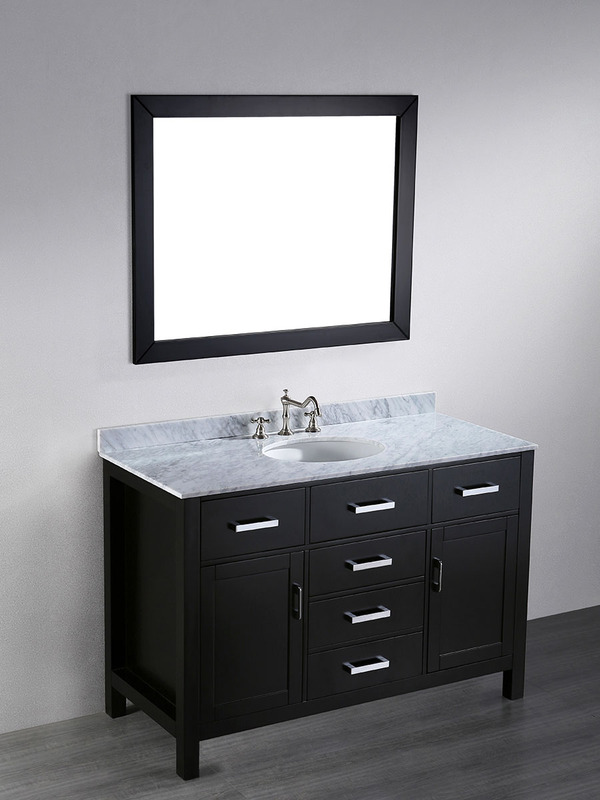 This vanity starts with a solid birch frame and is finished with a rich Black finish that's matched iwth a White Carrera Marble top. You'll love its spacious storage room that's equally matched with a spacious counter. 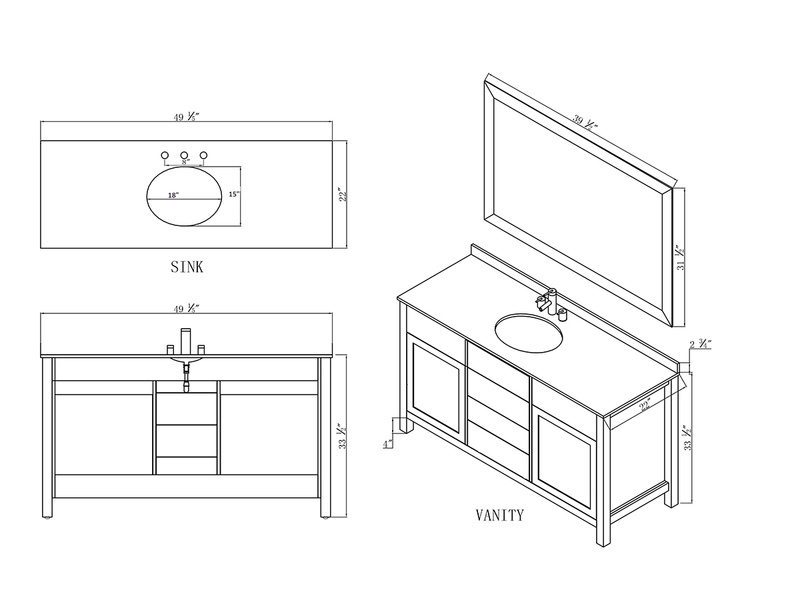 Each cabinet door and drawer front is adorned with Silver handles and equipped with soft-closing hinges and glides, ensuring that your new vanity lasts a lifetime.